It's been a while since I've baked with coconut. It's one of those ingredients that people seem to either love or hate. But coconut oil and coconut water have really gained in favor over the last year so perhaps all is forgiven. 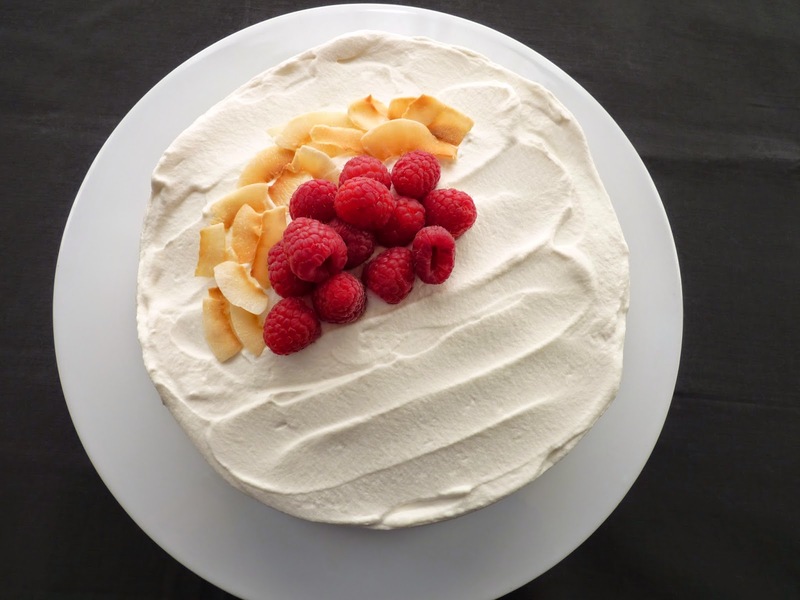 I love to work with raspberries so as I set out to work on a coconut pastry, I came up with this cake as a way to use my fresh stash. I think they make a good tart foil for the sweetness of coconut. I'm super pleased with the results. This cake starts with my basic white cake recipe but I swap out the milk for coconut milk. I also add a touch of lime to the batter to brighten up the flavor just a bit. 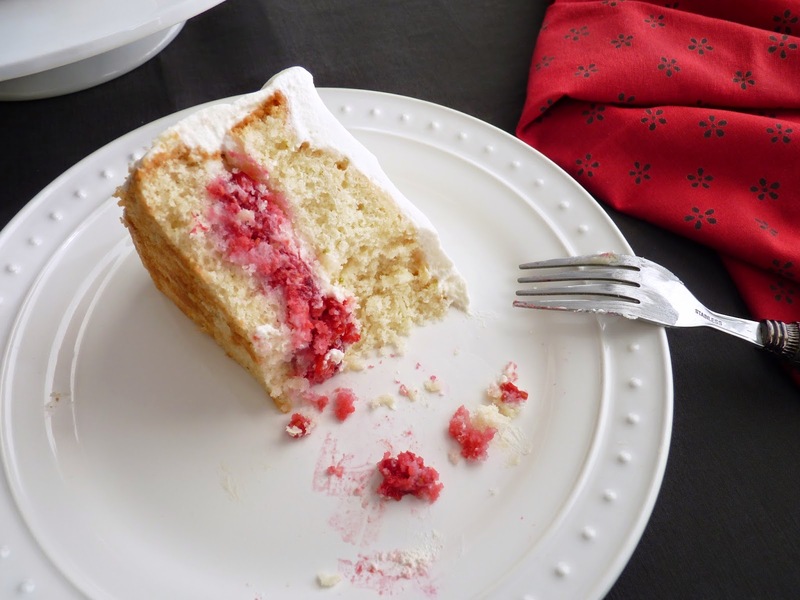 Once the cake is baked, it's split and filled with sugared raspberries and whipped cream. Then the whole thing is slathered with more whipped cream. 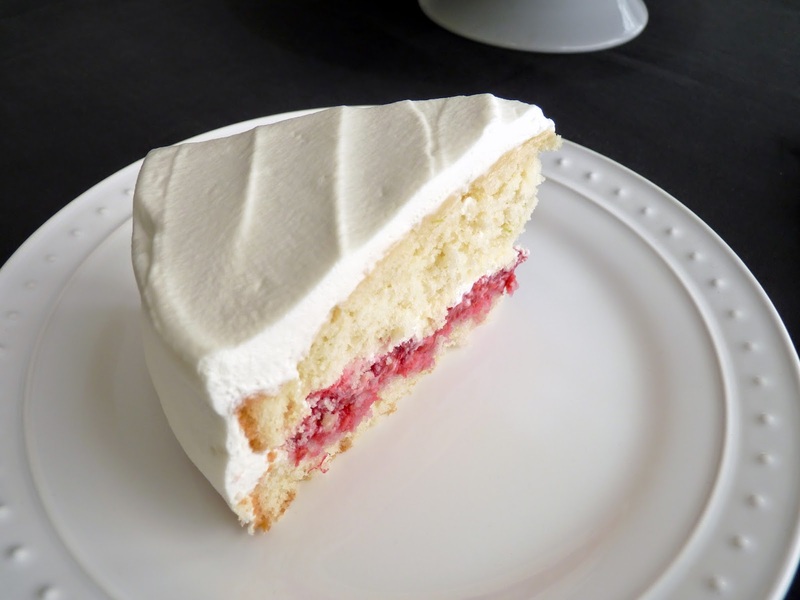 While I've made my share of buttercreams and frostings, I favor whipped cream as a finishing because it's easy, light, fresh and really just tastes the best. This is a subtle and delicious dessert. If you love coconut and raspberries, this combination will definitely provide a plate of pleasure. - Cake flour produces a lighter and more tender cake. I buy it at my local bulk grocer at a reasonable price but you can also make your own. The basic formula is: 1 cup of cake flour = 1 cup of all-purpose flour minus 2 tablespoons + 2 tablespoons cornstarch. For the 1 1/2 cups of cake flour in this recipe, measure 1 1/2 cups of all-purpose flour and remove 3 tablespoons. Add 3 tablespoons of cornstarch and sift a couple of times to be sure it's completely blended. - I use Thai Kitchen coconut milk because the quality is very consistent. - This technique for mixing cake batter is called the "two-stage" method. It's very different from the creaming method because all the dry ingredients are mixed first with room temperature butter and half of the milk. This is beaten for 1 1/2 minutes and then the egg whites, lime juice, vanilla and remaining milk are added in three stages and mixed for 20 seconds after each addition. The creaming method results in more aeration of ingredients and therefore cakes made that way usually have a stronger structure and turn out with a higher rise. This two-stage method results in less gluten development and produces a more tender cake with a delicate crumb, exactly what we're looking for in a white cake. 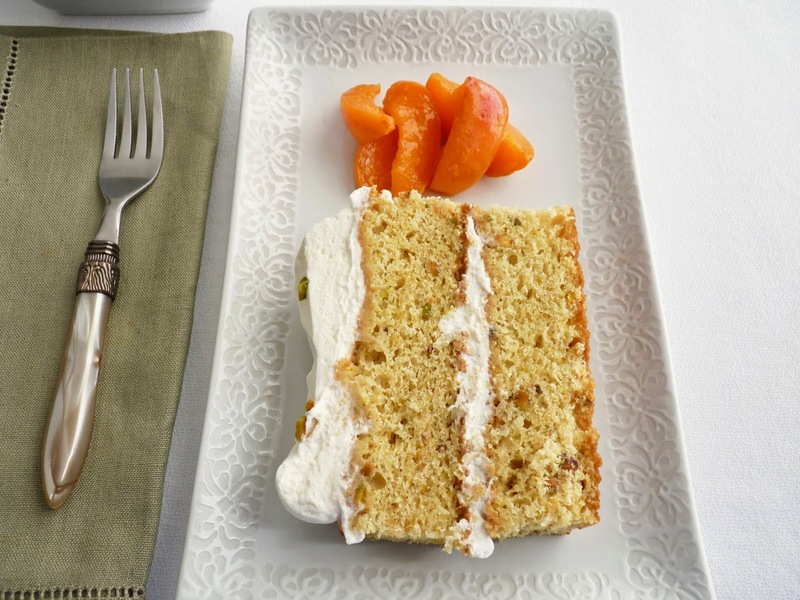 - Use a very sharp serrated knife and a gentle sawing motion to cut the cake into two layers. Start by making a small 1" cut into the side of the cake all the way around. Then bring your knife around again, sawing a little deeper. The cake will be cut in half very quickly. If you try to cut it straight across in one fell swoop, you'll wind up with a lot more crumbs. Once the cake is cut, I use a removable tart pan bottom to lift off the top half layer and set it aside. - I don't recommend baking the cake in a 9" cake pan because the layers will be too thin and fragile. You can double the recipe and bake in two 9" cake pans for a taller cake. The 9" cakes will bake a bit faster. Start checking them after about 25 - 28 minutes. You'll also need more whipped cream and a few more raspberries. Preheat oven to 350 degrees F. Lightly grease an 8" x 2 1/2" cake pan and line the bottom with parchment. Place sugar and zest of 1 lime in the bowl of a food processor. Process until the sugar is damp with the aromatic oil of the zest. Combine the zested sugar with the cake flour, baking powder and salt in the bowl of your mixer. Mix on low speed for 30 seconds to blend thoroughly. Add the room temperature butter and 1/4 cup coconut milk. Mix on low speed until moistened. Increase to medium speed and beat for 1 1 /2 minutes. Scrape down the sides of the bowl. Combine egg whites, remaining 1/4 cup coconut milk, juice of 1 lime and vanilla. Gradually add the liquid mixture in 3 batches, beating for 20 seconds after each addition to incorporate the ingredients and strengthen the structure. Remove from the mixer and fold in the shredded coconut. Scrape the batter into the prepared pan. Bake until golden brown and a tester inserted into the center comes out clean with just a couple of crumbs attached, 34 - 36 minutes. Place on a wire rack to cool for 10 minutes. Run a thin knife around the edges to loosen and invert the cake. Carefully remove the parchment and invert again to cool completely. To assemble, place the raspberries in a bowl (reserve a few if you want to garnish the finished cake) and toss with 2 tablespoons sugar. Set aside for a few minutes to macerate. Whip the cold heavy cream with 1 tablespoon sugar and 1/2 teaspoon vanilla until medium soft peaks form. 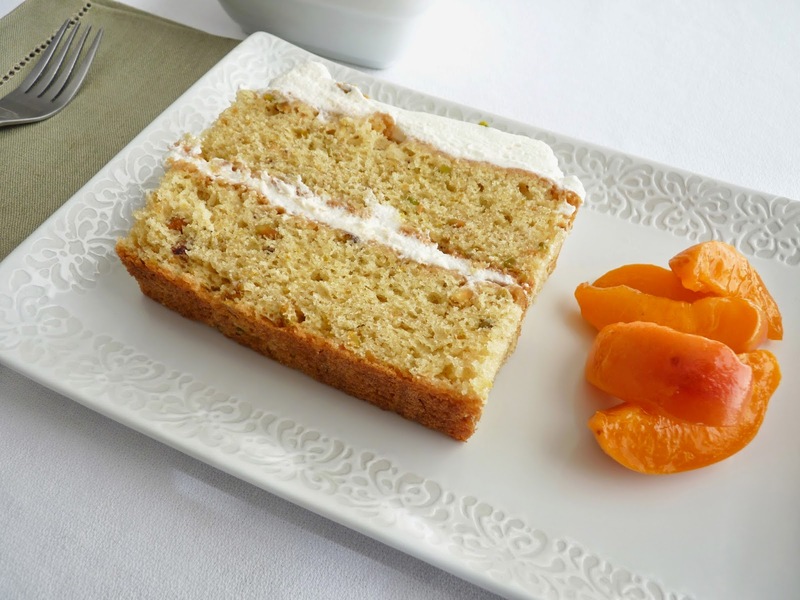 Using a long sharp serrated knife, cut the cake in half horizontally and set the top aside. Spread the bottom half with the raspberries and their juices to within 1/2" of the border. Top with about 1/3 - 1/2 cup whipped cream. Place the top half of the cake on top of the berries and cream. Slather the cake in the remaining whipped cream. Garnish with extra berries. Somewhere among all the newly purchased apricots, peaches and cherries on my table were lurking a couple of ripening bananas, suffering from what we all know as the early stages of Banana Neglect Syndrome. In my rush to celebrate all the stone fruit of the season, I'd overlooked them. So when all the other fresh fruit pastries were baked, they were discovered in the nick of time. There are lots of things to do with ripening bananas. 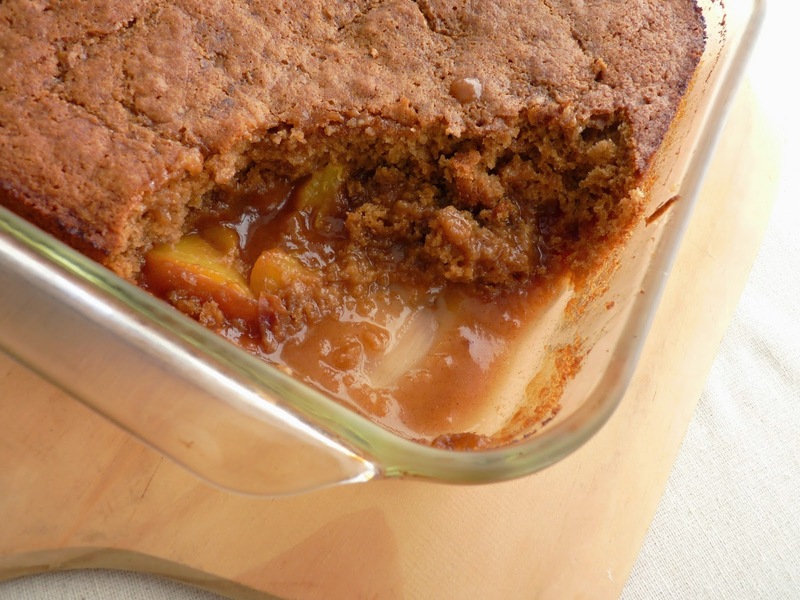 We all know the drill, although I must admit I'm partial to this Banana Sauce Cake. But this time I just wanted to make some ice cream. The bananas were freckled with several brown spots but not blackening, which would help to keep the ice cream tasting fresh. To add more adventure, I mixed in some peanut butter for a nutty overtone. And since this ice cream isn't a cooked custard with eggs, I could stand at my food processor and just keep adding ingredients, tasting as I went along until it all came together. So I mixed in some brown sugar along with the granulated, a dash of rum for complexity and to smooth out the rough edges, a slight pinch of cinnamon for intrigue, and processed away. 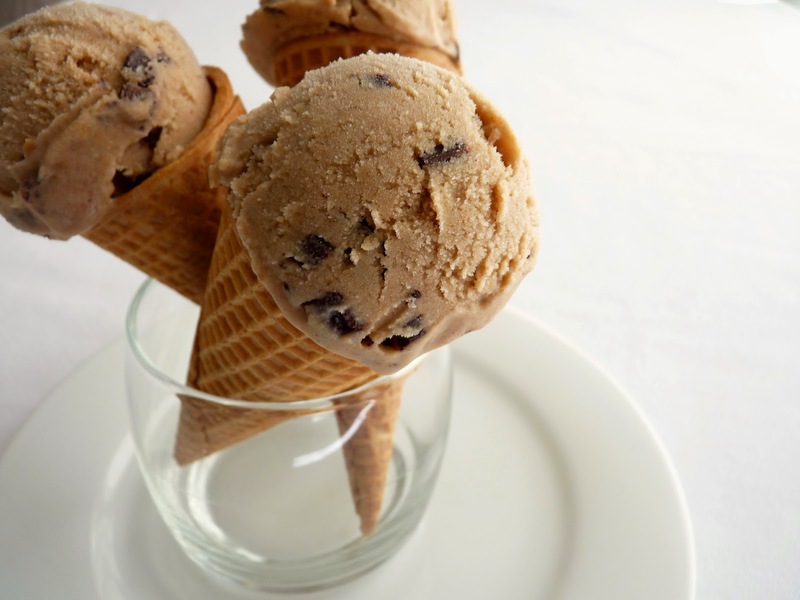 I didn't want the ice cream to taste of rum or cinnamon but both add just a hint of flavor that makes the whole thing come together. And for a crowning touch, there is of course some chopped chocolate, a very close compadre to bananas and peanut butter. So you can take these basic ingredients and juggle the ratios, tasting as you go along, to get it just right for you. I start with the basic dairy ingredients, then add the bananas, peanut butter, both sugars and a pinch of salt. Then taste and adjust for these elements. I was going for a balance of banana and peanut butter but you might prefer an emphasis on one or the other. Then add the vanilla, rum and cinnamon and see what you think. Keep processing after each addition and stop when it tastes like your idea of heaven. I also like a little edge of salt, so I adjust this last before I chill the base. And then last but not least, fold in the chopped chocolate just after the ice cream has been churned in your ice cream maker. Presto! It's easy and fun and a very quenching ice cream in the mid-afternoon sun. - I used creamy peanut butter but crunchy would also be fabulous for added texture and flavor. 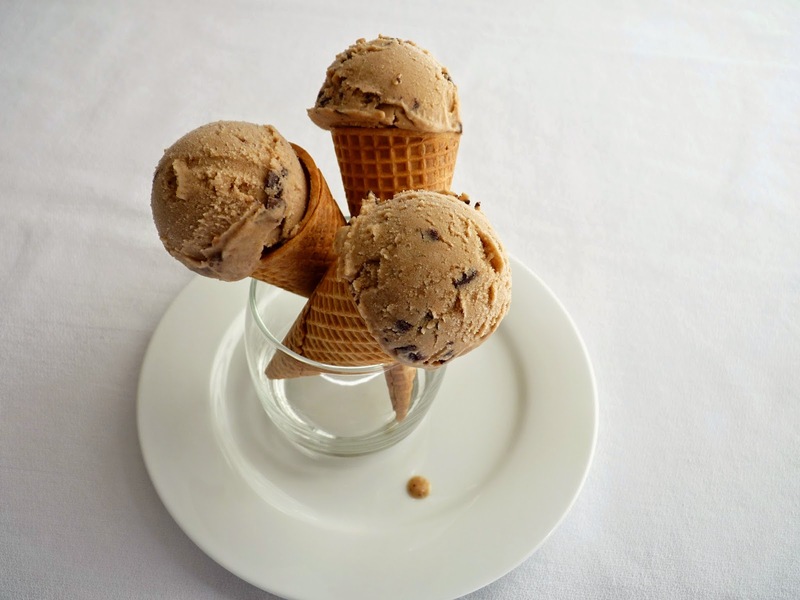 - If time allows, chill the ice cream base overnight. 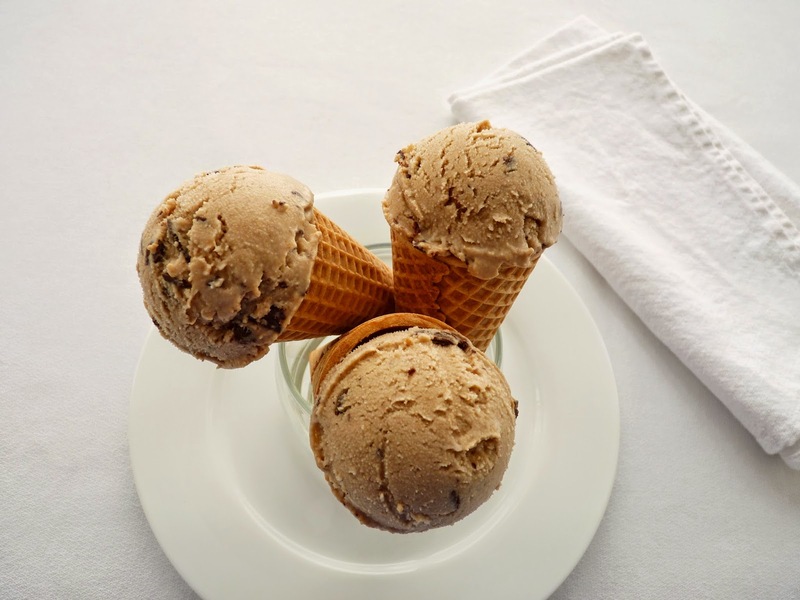 When it's thoroughly chilled, your ice cream machine can work more efficiently for the best results. - I prefer either bittersweet or semisweet chocolate here but milk chocolate would add that familiar childhood touch of creamy sweetness. - Skip the chocolate chunks and serve with chocolate sauce: Whisk together 1/2 cup water, 1/2 cup sugar and 1/4 cup cocoa powder in a saucepan. Bring to a simmer over medium low heat, whisking constantly. Cook for 2 minutes until it smoothes out and the full flavor of the cocoa has a chance to bloom. Add 1/4 cup heavy cream and 1 oz finely chopped chocolate and whisk to combine. When the chocolate has melted, take off the heat and add 1/2 teaspoon vanilla. Whisk thoroughly and add a pinch of salt, to taste. Pour into an airtight container and chill. Place the milk, heavy cream, bananas, both sugars, peanut butter and a pinch of salt in a blender or the bowl of a food processor. Process until the bananas are pureed and the ingredients are smoothly blended. Add vanilla, rum and cinnamon and process. Adjust for salt. Pour into an airtight container, cover and chill thoroughly, preferably overnight. 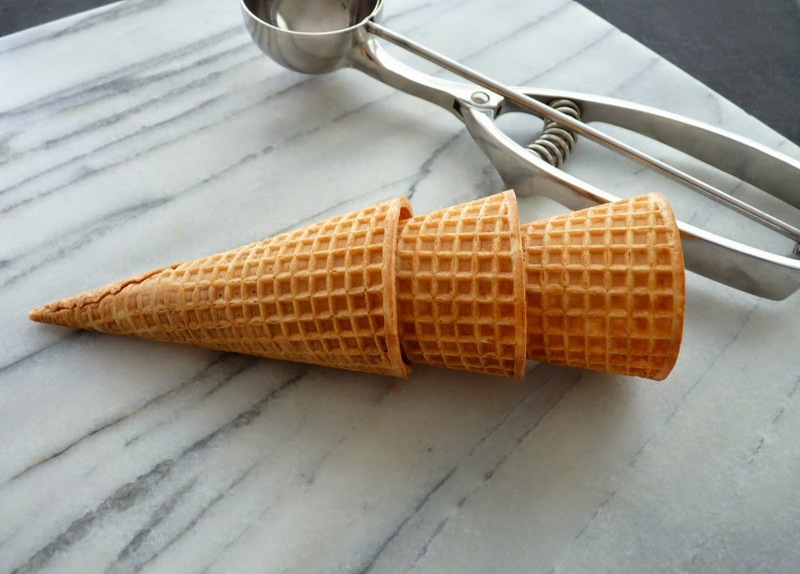 Whisk the ice cream base and freeze according to your ice cream machine's instructions. Fold in the chopped chocolate and pour into an airtight container. Press a piece of plastic wrap into the surface, cover and place in the freezer to firm up. Pistachios seem to symbolize the beginning of spring and summer for me so it's usually about this time of year that I start to think about crafting a pastry that celebrates them. The cultivation of pistachios began in ancient times in Central Asia and the Middle East, where pistachio trees were a symbol of status. It expanded with trade to the Mediterranean and eventually to America in the 1880s. Today, pistachios are primarily grown in the Central Valley of California, racking up over $1B in annual sales. Apparently, the world loves pistachios! This is a simple and versatile cake. Since we are heading into summer, I wanted to make a light cake rather than the dense Middle Eastern cakes normally associated. For a soft and tender crumb, I use cake flour and sour cream. Orange zest really does a great job of livening up the flavor and a hint of almond extract is just enough to provide a back note to bolster the nuttiness. 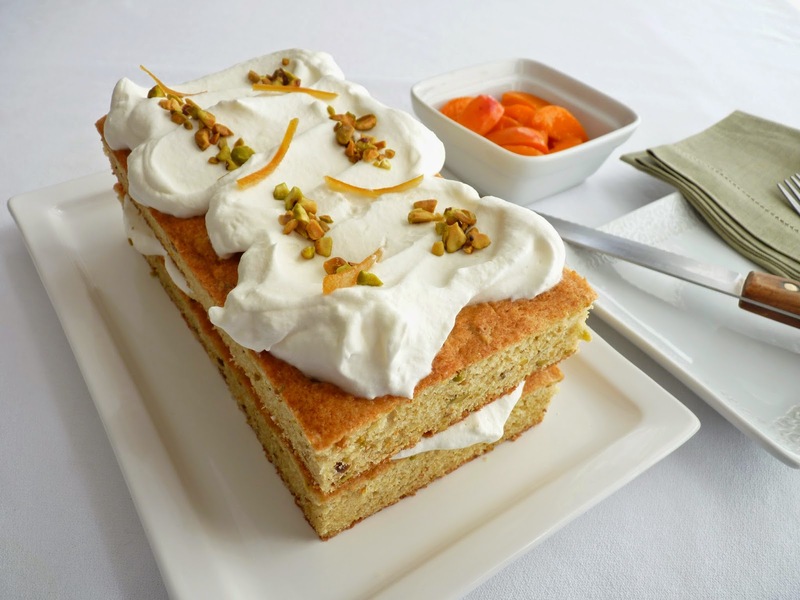 I serve the cake stacked with whipped cream enhanced with the flavors of Mediterranean nougat: honey, orange and almond. 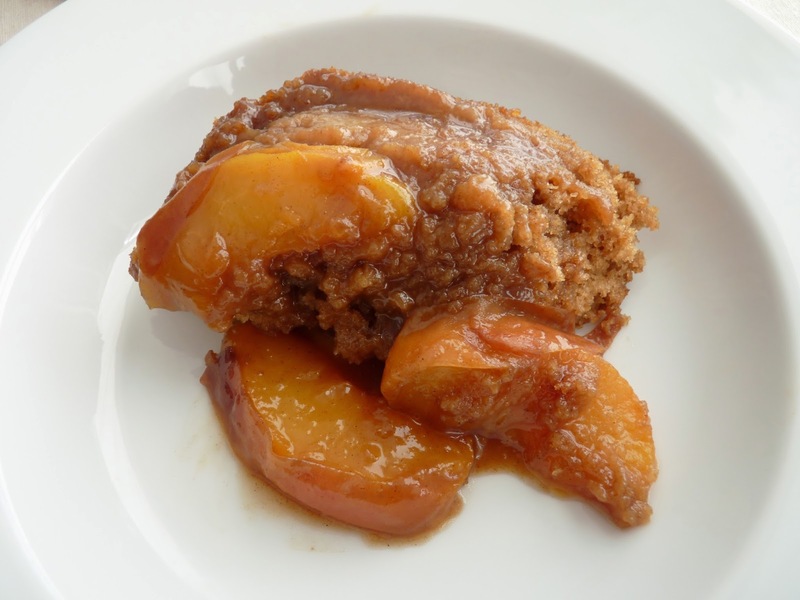 Since I love fresh fruit, I plated the cake with apricots simmered for just a moment in a honey lemon syrup for a terrific and decidedly different dessert. I think the cake would also pair beautifully with fresh strawberries, simmered cherries or jeweled oranges in honey syrup, a little feast for the eye and the appetite. - Grind the pistachios with the flour just until they are about the size of lentils. 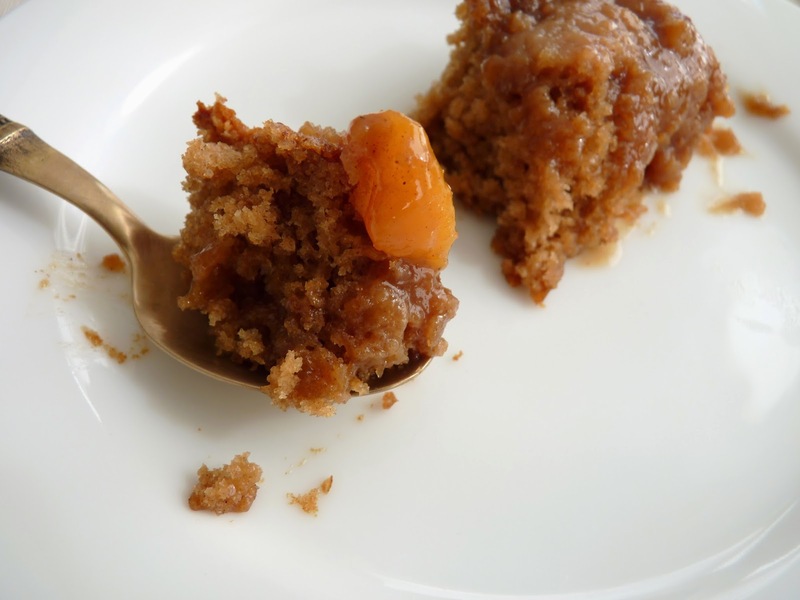 - For the best cake texture, beat room temperature butter (take off the chill but it shouldn't be soft) and the sugar until it is light and fluffy, about 3 - 4 minutes. It's important to stop and scrape down the bowl during this process because the butter wants to cling to the paddle or beaters and the sides and bottom of the bowl. So for proper aeration and thorough mixing, stop and scrape down the ingredients periodically. The same is true when adding the eggs. The goal is to emulsify the mixture. - To prevent over mixing, I like to stop the mixer just as the cake batter is almost fully blended. Then I use a rubber spatula to scrape down the bowl and fold everything together. - For the whipped cream, if you don't have a good quality kirsch, use a couple of drops of good quality almond extract, about 1/16 teaspoon. - Once you slice into a cake, it begins to dry out, so wait until you're ready to assemble before trimming and slicing. - Recipe for the fresh apricots: Heat 1/4 cup honey, 2 tablespoons + 2 teaspoons water (or a nice white wine, such as Sauvignon Blanc) and 2 teaspoons lemon juice until dissolved. 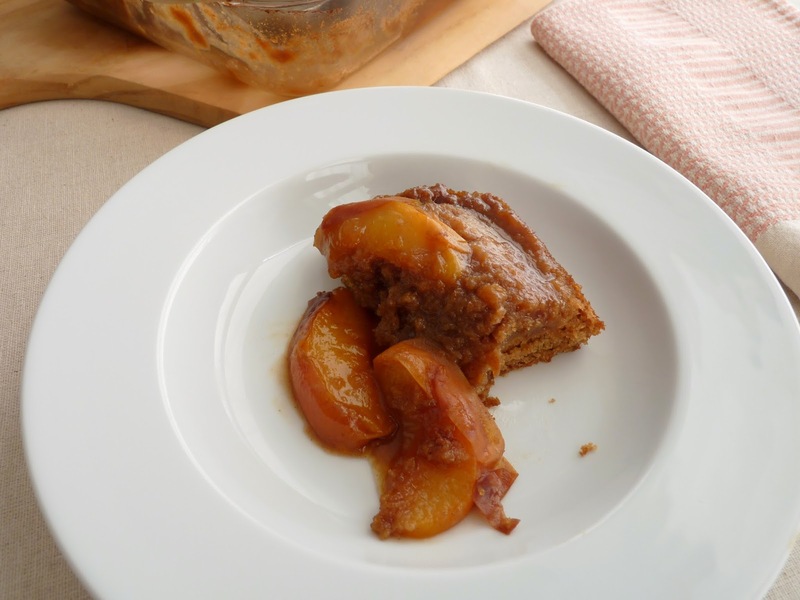 Slice 8 apricots into eighths and add, slowly simmering on low heat for just a few minutes until slightly tender. - This cake would also be good finished with a cream cheese frosting. 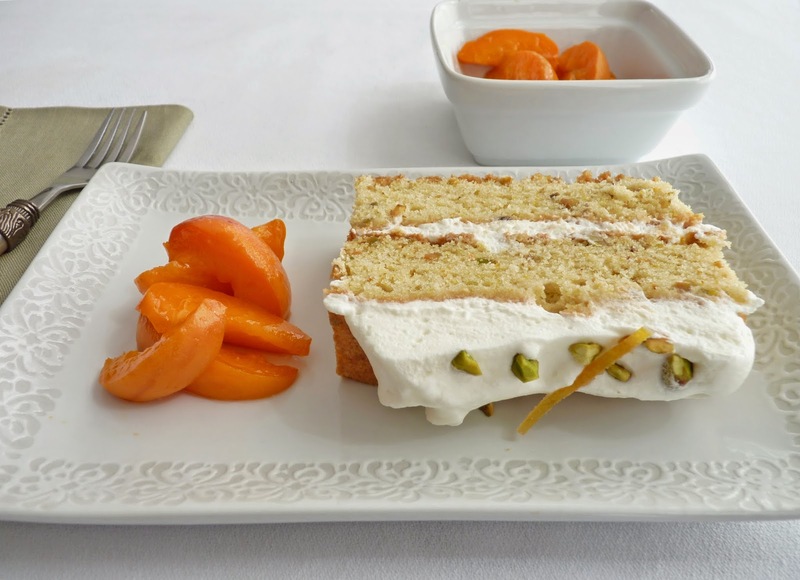 - If you love pistachios, try an easy Pistachio Semifreddo or the Pistachio Gelato, Amadeus Cookies and Pistachio Almond Crumbles from my ecookbook, The Global Pastry Table. Preheat oven to 350 degrees F. Lightly grease a 9" square cake pan and line the bottom with parchment, leaving an overhang on two sides. Place the cake flour, baking powder, salt and pistachios in the bowl of a food processor. Process until the nuts are ground into small pieces but not powdery. Pour into a bowl and set aside. Place the sugar in the bowl of the food processor. Zest the orange into the bowl and process until the sugar is fragrant, lightly colored and slightly damp. Cream the butter and zested sugar until light and fluffy, about 3 - 4 minutes. Scrape down the bowl and add eggs one at a time, mixing each one thoroughly before adding the next and scraping down the bowl after each addition. Mix in the vanilla and almond extracts. Alternately add a third of the flour and nut mixture and half the sour cream, beginning and ending with the flour. After the last addition, mix the batter just until it starts to come together. Finish the mixing by hand, using a rubber spatula to scrape the bottom and sides of the bowl and folding until the dry ingredients are absorbed and blended. Scrape the batter into the prepared pan and level the surface. Bake until the cake springs back when lightly touched and a tester comes out clean, about 24 - 28 minutes. Place on a rack to cool. 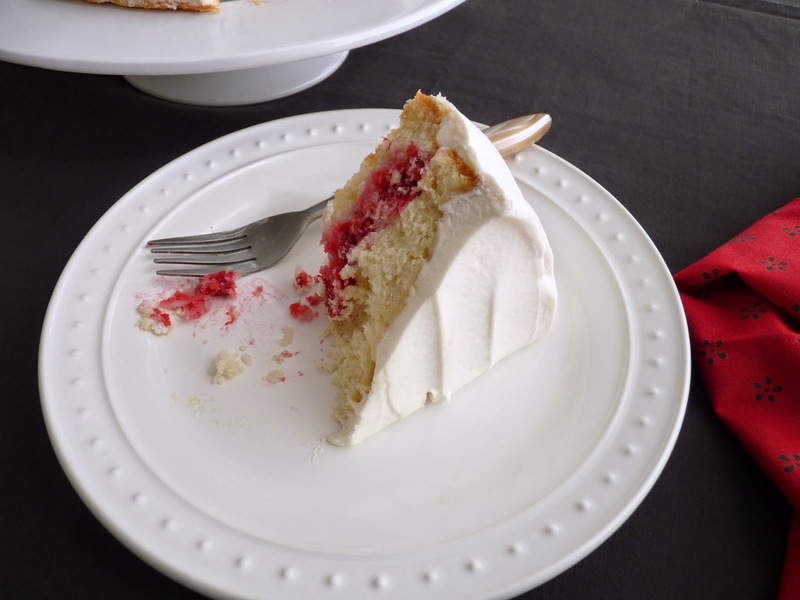 Run a thin-bladed knife around the edges to loosen the cake. Gently lift it out of the pan using the parchment overhang to assist. Remove the parchment. To assemble, whip the cold cream with the honey and flavorings just until it holds medium soft peaks. Using a serrated knife and a sawing motion, trim the edges of the cake and cut it in half vertically. Place one half on a serving platter and slather it with half the whipped cream. Place the other half on top and slather with remaining cream. Garnish with chopped pistachios. Alternatively, leave the cake whole and garnish the top with all the cream.